In ERA for pharmaceuticals, evaluating a pharmaceutical’s potential environmental impact requires expertise in both drug development and environmental testing. EAG Laboratories’ environmental risk assessment capabilities for human and veterinary pharmaceuticals provide the environmental data and guidance you need to meet testing and timing requirements. We help develop drugs and evaluate their environmental impact. As partners with pharmaceutical and animal health companies, EAG also has a long history of supporting drug development with a broad array of CMC services. We have a deep understanding of global regulatory requirements for environmental submissions and can guide you through the assessment process with accurate timelines. Get started at the right time. EAG Laboratories will help you get started at the optimal time to avoid submission delays. With environmental risk assessment studies taking 10-12 months—or longer—our program managers and scientific advisors will guide you to successful completion. EAG’s industry leadership in chemical registration support is based on our recently merged expertise of Wildlife International, ABC Laboratories, PTRL West and PTRL Europe. 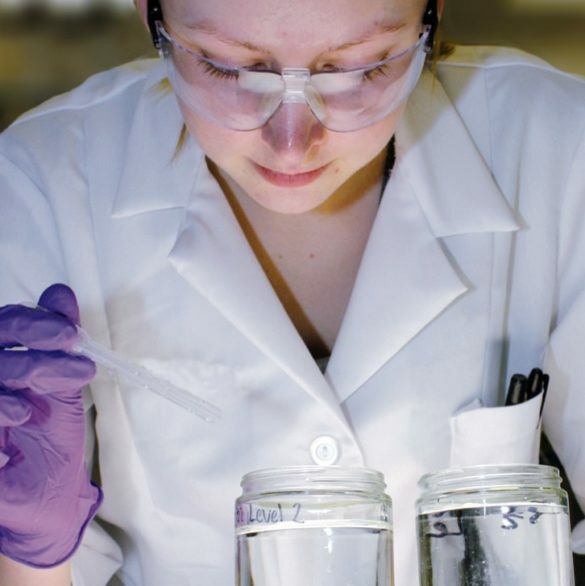 With over 120 years of combined laboratory experience in studies involving environmental fate, ecotoxicology, plant and animal metabolism and product chemistry, our scientists design and execute the right experiments to produce quality data.